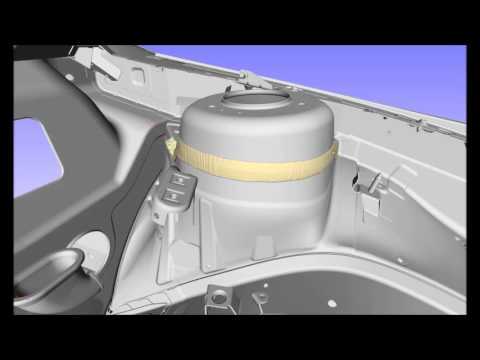 Innovative software for simulation of sealing spray in automotive paint shops has been developed. The software is based on research within the MERA and FFI programs funded by Vinnova. Our research partners are Volvo Cars, Scania, AB Volvo and Swerea IVF. Application of sealing materials is done in order to prevent water leakage into cavities of the car body, and to reduce noise. The complexity of the sealing spray process is characterized by multi-phase and free surface flows, multi-scale phenomena, and large moving geometries, which poses great challenges for mathematical modeling and simulation. The sealing material is strongly shear thinning implying that the viscosity depends on the shear rate. We consider both the hollow-cone, in which a curtain of sealing material is sprayed on the target, and the flat bead spray nozzles.To simulate the process the volume of fluids (VOF) module in IPS IBOFlow has been used. Collision free robot paths that consider process constraints and sequence optimizations of cycle time are automatically generated in the IPS Robot Optimization software. 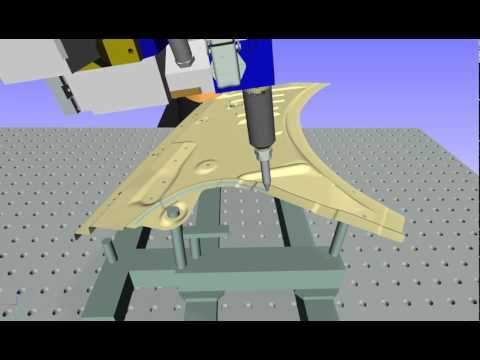 The efficient implementation makes it possible to simulate application of one meter of sealing material in less than an hour on a standard computer, and it is therefore feasible to include such detailed simulations in the production preparation process and off-line programming of the sealing robots. 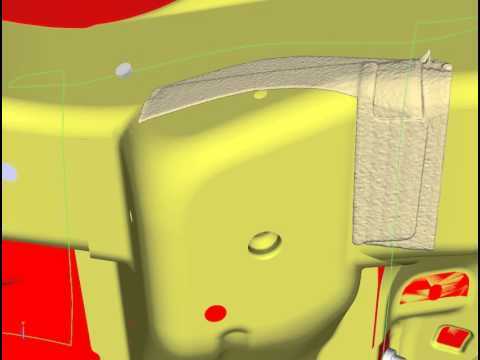 This work on virtual sealing is therefore an important step towards the virtual paint factory and contributes to sustainable production by providing simulation tools that can be used by the automotive industry to reduce the time required for introduction of new car models, reduce the cycle-time, reduce the environmental impact and increase quality. IPS Virtual Paint – Sealing is commercially available and distributed by IPS IBOFlow AB. An extension to handle glue and adhesives is under development.